"This doctor here is a good one!" "Highly recommend Dr. Min! " 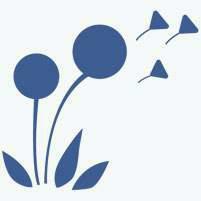 "Overall, competent and friendly. Highly recommended." "I highly recommend Dr. Min if your child has any allergy issues!" Stuart Min, MD provides allergy and asthma care to patients in the cities of Alhambra and City of Industry, CA and the surrounding communities. At the Min Allergy and Asthma Center, patients receive allergy testing and treatment for nasal allergies and food allergies. Other services offered include treatment for eczema, hives, itchy eyes, and asthma, as well as chronic coughing and immunodeficiency. Patients benefit from the prestigious training and professional experience of Dr. Min. Born in San Gabriel Valley in Southern California, Stuart Min went to college at Stanford University where he graduated as a biology major with honors. After graduation, he attended medical school in Pennsylvania and completed his medical training at the University of Pittsburgh School of Medicine. For his residency and fellowship training, Dr. Min returned to his home state to complete his training at the Children’s Hospital Los Angeles and the University of Southern California respectively. Today, Dr. Min is board certified as an allergist and immunologist who treats pediatric and adult patients. He provides multilingual service in Mandarin Chinese, Spanish, and English, while his staff also speaks Cantonese, Spanish, and Vietnamese. This multicultural offering benefits a great number of the demographic in Alhambra and City of Industry, CA in need of allergy and asthma care. 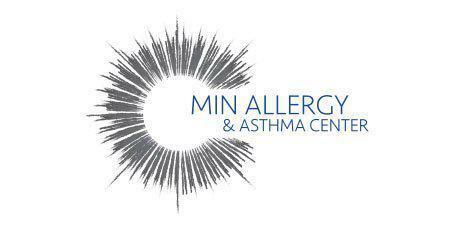 Contact Dr. Min at the Min Allergy and Asthma Center to schedule an appointment for an allergy test or treatment. Dr. Min welcomes you to Min Allergy and Asthma Center! We are dedicated to delivering swift allergy relief for our patients in the San Gabriel Valley and Greater Los Angeles areas. Professional. Modern. Compassionate. Convenient locations to ensure patient comfort and quality care. Two Office Locations for Patient Convenience Request your appointment online today for the Alhambra location and click here to contact our office if you would like to schedule an appointment at the City of Industry location. Saturday appointments are available! At Min Allergy and Asthma Center, we accept most major insurance plans. Here is a short-list of just some of the most popular plans we accept. Please contact our office if you do not see your insurance provider listed. "I found Dr. Min on Yelp...He was very knowledgable, educated, patient, and explained things to me in a way that I could understand." "I highly recommend Dr. Min! He is truly compassionate and helpful. He is very open and accessible, unlike most doctors, to questions and concerns." "I tried many different steps to help my baby find relief and Dr. Min was there to guide us every step of the way!" "Very considerate and passionate doctor. Dr. Min was very punctual and he actually takes the time to not only go in depth but is willing to answer any questions."